A canvas contains one or more layers, upon which are located the canvas' elements, such as graphics or images. 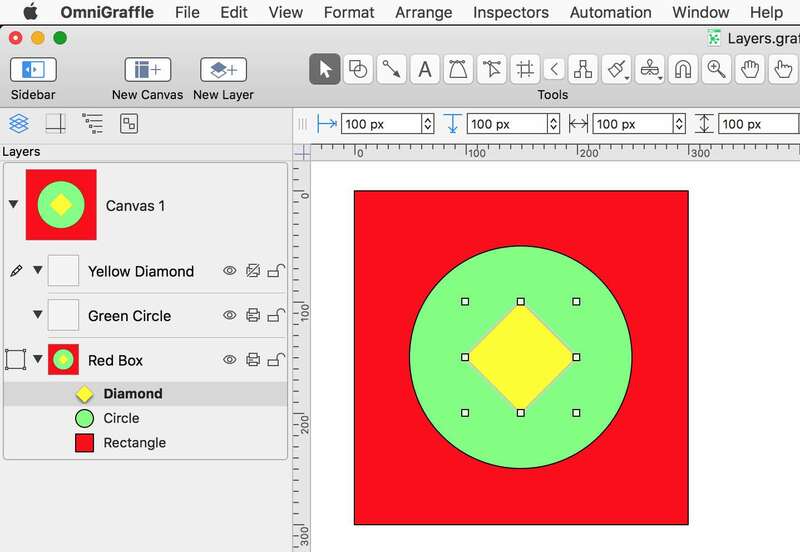 Layers are created using the newLayer() instance method of the canvas class. 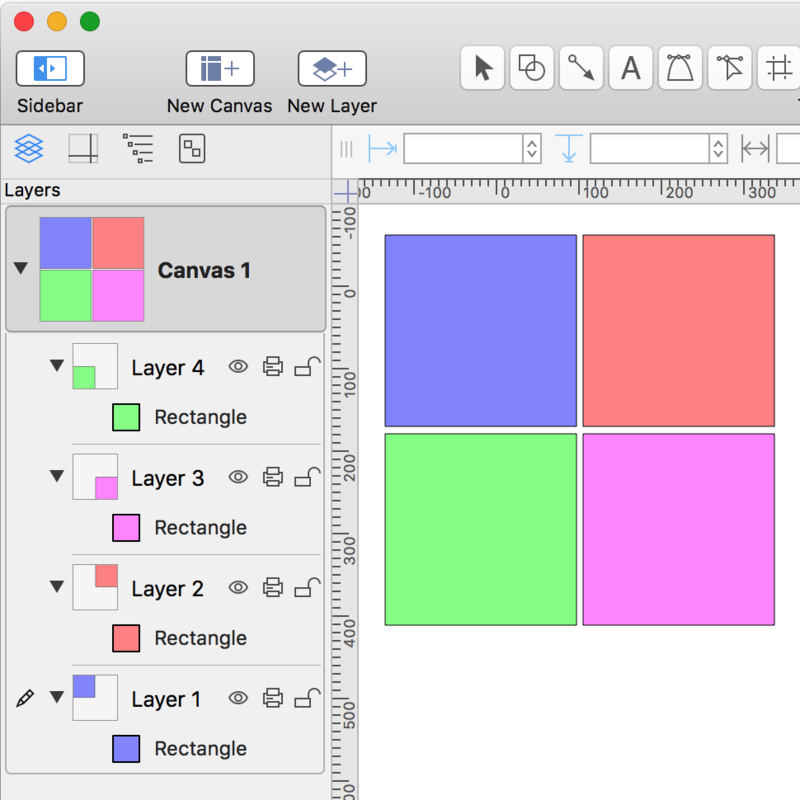 cnvs = document.windows.selection.canvas layer = cnvs.newLayer() layer.name = "NEW LAYER"
03 layer.name = "NEW LAYER"
The newLayer() method creates a new top-most layer for the canvas instance. graphics (Array of Graphics) • All graphics in this layer. locked (boolean) • Whether this layer is locked, effectively locking all graphics contained in the layer. name (string) • Name of this layer. prints (boolean) • Whether graphics on this layer should be visible when this canvas is printed. visible (boolean) • Whether graphics on this layer are visible. orderAbove(Layer) • Reorder this layer so that it is just above the given layer. orderBelow(Layer) • Reorder this layer so that it is just below the given layer. remove() • Remove this layer from its canvas, deleting it. 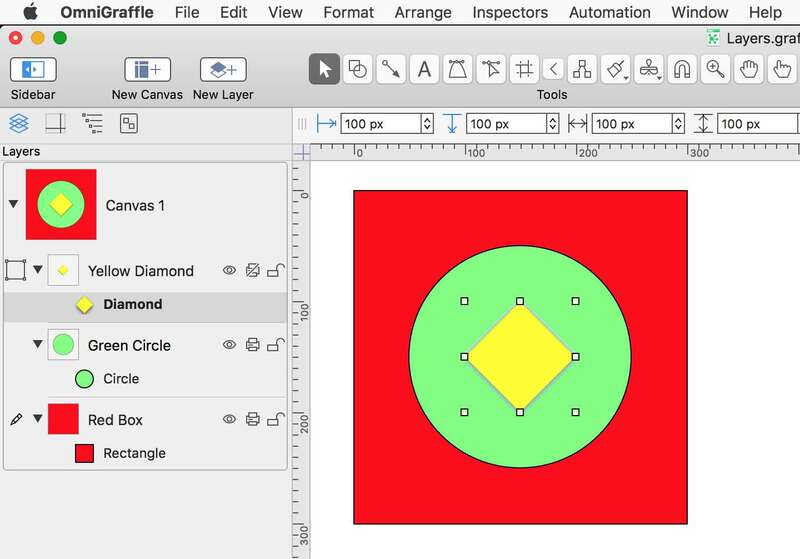 addShape(shapeNameString, boundsRect) (Shape) • Create a new graphic of a given shape and place it on the layer. 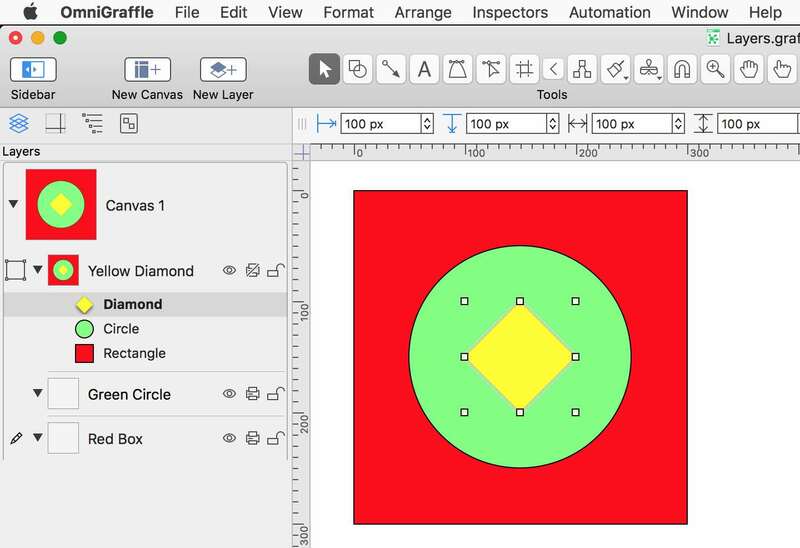 newShape() (Shape) • Create a zero-sized rectangle (presumably to be modified further) and place it on the layer. Here’s a script that deletes the hidden layers of the current canvas. NOTE: The remove() function deletes layers regardless of the status of their locked property. The previous function can be used by the following function that reorders the layers of the current canvas by name sorted alphabetically. NOTE: the window view may need to be refreshed in order to display the reordered canvases correctly. 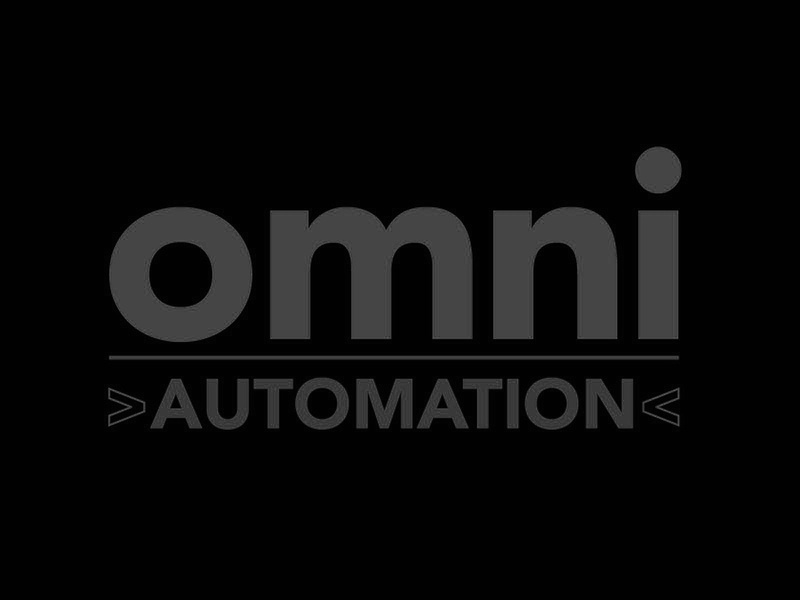 Currently, the scripting implementation in OmniGraffle does not offer commands for merging layers or for moving objects between layers. However, because references ot objects are based on the unique value of their id property, you can use the orderAbove() and orderBelow() methods from the Graphic class to move objects between the layers of a canvas. 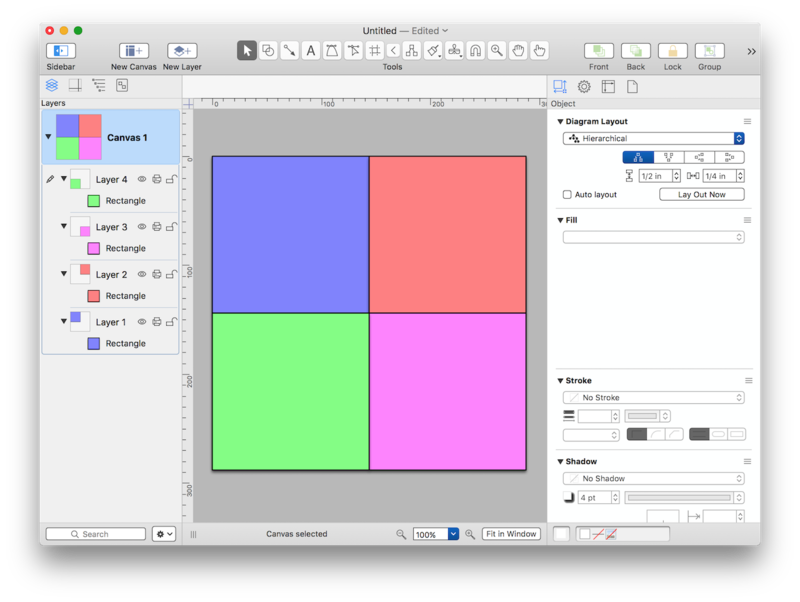 For example, in the OmniGraffle document pictured below, there are three objects, each on its own layer. You can use the orderAbove() method to move them to the top layer while maintaining their stacking relationship. Alternatively, you can use the orderBelow() method to move the three objects to the bottom layer while maintaining their stacking relationship.